So you’ve just PCS’d to Fort Stewart and moved into your brand new home or apartment, now what? You can’t just live every day going to work and coming home with the occasional grocery store run thrown in there can you? No way! Get out there and enjoy your time spent in this community! Most of our office staff is local, and we love this little slice of the pie. 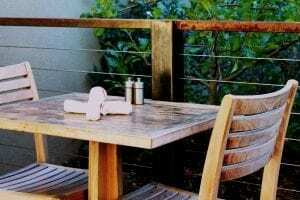 What better way to enjoy a new community than to try new restaurants! Below are a few of our favorite stops unique to our community in Liberty County! It is no secret we’re all frequent diners at Zum Rosenhof in downtown Hinesville. We’ve managed to secure a regular table and of course, we’re on a first name basis with the fantastic staff! Have you tried the schnitzel or the brat sandwich? YUM! And if you’re a big fan of German food, they’ve also got a grocery store next door! Baldinos is a must to include on this list! Whenever we’re looking for an easy & delicious option for an office lunch, we go with Baldinos, hands down! If you haven’t tried this local sandwich shop yet, you’re missing out! Freshly made sub sandwiches are an easy dinner option for a busy weeknight! It’s a great stop if you travel through Fort Stewart’s Main Gate daily, or live at Liberty Court or Liberty Place! Speaking of sandwiches, another favorite is NY Eats! 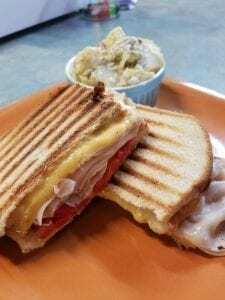 This new restaurant in downtown Hinesville serves up yummies including German bologna & cheese, chicken alfredo sandwich, French bread pizzas & soups! Owner & chef Jefferey Childs is a true New Yorker and we are so thrilled he brought his cooking skills to the South! We recently held our annual Christmas dinner at Izola’s Country Cooking off of E.G. Miles Pkwy and boy was it a crowd pleaser! You forget how much you love the cuisine of your region until something delicious reminds of it! Let me tell you- the crispy fried chicken, macaroni & cheese and hoecakes from Izola’s are enough to make your mouth water at the thought of it! With a daily buffet stocked with fantastic home cooking- you can’t go wrong at Izola’s! Southern Sweets is a favorite of the boss man himself. He’s been known to buy up all the quiche Ms. Judy has on hand, and her banana nut bread usually doesn’t last long in the office kitchen! Just try of her sticky buns or cinnamon rolls and you’ll be a customer for life! A weekend favorite of the staff is easily the Sunbury Crab Company. This coastal open-air restaurant will serve up a plate of seafood you won’t forget! Steamed oysters, crab legs or fried shrimp- take your pick! And the view from your table is absolutely stunning! Sho’Nuff Smoking Good BBQ is another favorite of ours, located just across the street from The Crossing at Independence in Hinesville. If you commute to Ft. Stewart via Gate 7- you pass it daily! These guys make fantastic BBQ not to mention the coleslaw and baked beans! We have to admit we’ve had the ribs & don’t even bother grilling them ourselves anymore! Well, there you have it! These local stops are the perfect way to get out and enjoy our community of Hinesville and coastal Georgia! Now, unfortunately, we need to go get ourselves one of these mouth-watering plates- all this typing about food has worked up an appetite! 5 places to visit this weekend! How can your tax return help you buy a home? In the market for a new construction home? We'd love to sit down and chat with you about possible plans or spec homes in your desired location. Let's set up a meeting to chat!